A fun, safe and affordable way to become a better shooter. NEW MARKSMANSHIP TRAINING PRODUCT AVAILABLE! The SharpShot EZ-Trainer, the first laser dry-fire and airsoft marksmanship training target box you control via Bluetooth with an app on your smartphone or tablet! Visit www.sharpshotusa.com for more information. We are in the process of moving to a new eCommerce platform. Product ordering will be unavailable during this time on this site. Please contact us directly if interested in ordering for now. Features a no-risk upgrade to a more advanced OCAT System, with the SharpShot-R being one of the most advanced system marksmanship training systems in the industry. 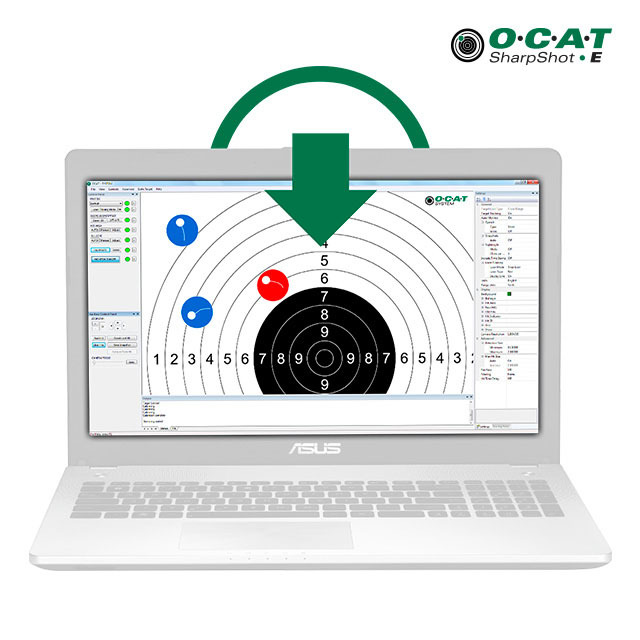 An OCAT SharpShot Marksmanship Training System transforms any location – a basement, recreation room, office or garage – into a virtual shooting range. 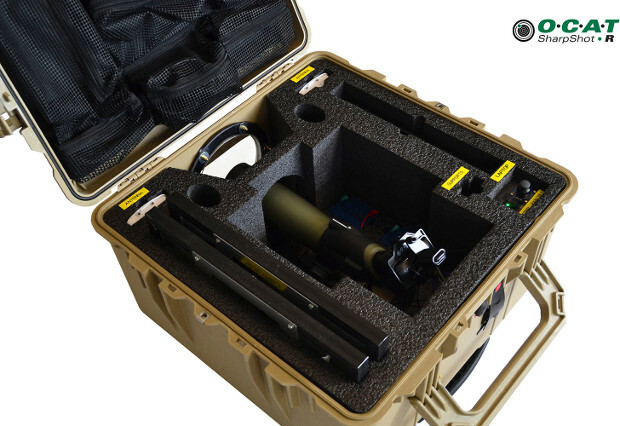 Laser mode means no ammunition costs or range fees, saving you time and money. Automatically compensates for changing conditions, such as camera and target movement; and changes in lighting, such as sun, clouds, shade, etc. 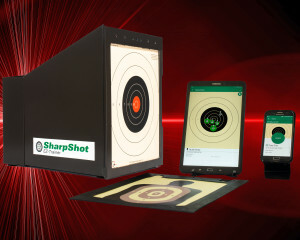 The SharpShot-R software shows the holes made in the target, marks them, and records the location and time of each shot. At the same time, the laptop displays the target as if it was only a few yards away. This means the shooter can make rapid adjustments for wind, mirage and other conditions to improve their shooting skills. The SharpShot-R includes everything you need for a complete long-range marksmanship training experience, plus it’s reliable, durable and portable. OutWest Systems is located in scenic Colorado Springs, Colorado. The company was created to develop and bring to market unique, innovative and fun products for the shooting community and beyond. 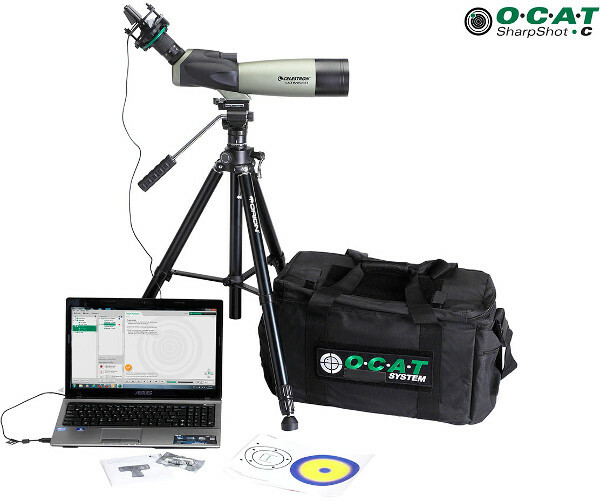 We are so sure you’ll love the OCAT SharpShot Marksmanship Training System, we offer a 100% money-back guarantee.